Parainen, 10.1.2013 – Chile became the first South American country where Waterix Airit aerators were delivered. Two Airit 400 aerators equipped with floats were delivered to summer vacation place to improve their SBR-treatment. 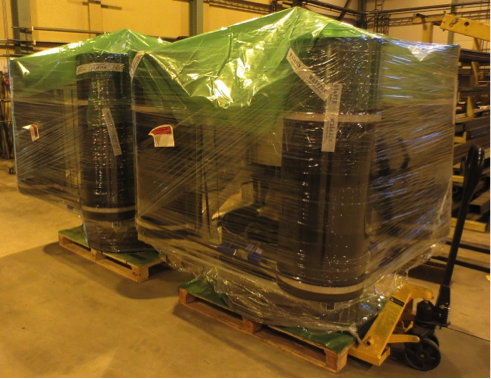 Aerators were delivered to Chile by air cargo. In the picture below Waterix Airit 400 aerators ready to go to plain.